Chances are you will fly somewhere this summer. Hopefully it’s for fun and you’re going somewhere fabulous! Regardless of why you’re flying or where you are going, there is a decent chance that you will have a longer layover than expected, or that you will experience airport delays. Weather, more people flying, Murphy’s law all play into it. I buy travel insurance for all my international travels, and sometimes for domestic travel. I base it on how much I stand to lose if my flight gets cancelled or my bags get lost. Normally my domestic flights are either for work or I’m going to see friends, so I don’t need insurance. If I were going to a vacation somewhere here in the USA I would buy travel insurance, because a missed or delayed flight will still have accommodation costs, rental car excess fees – all kids of extra expenses. I use Allianz for all my travel insurance needs, and have done for years and years. They periodically email me blog posts with travel tips, and I thought this one would be helpful to most of my travel readers. Most of us don’t plan for extended airport layovers. Instead, what was supposed to be a quick 20 minutes of downtime in between two flights grows into a lengthy travel time-out caused by inclement weather, engine trouble or some other undisclosed minor emergency. But there are globetrotting, budget-minded travelers who purposely take extended breaks in airport terminals and lounges during layovers. They know how to stay safe, maintain a semi-healthy diet and even rest comfortably when the odds and airport security are stacked against them. So whether you’re hoping for brief layovers or counting on long ones, here are some travel tips and advice to make sure your extended stay manageable – and even enjoyable. Safety and security should be your chief concern during long airport layovers. If you’re a savvy traveler, you already know the basic rules: keep your bags close by, keep your money and valuables even closer – “traveler’s money pouch” sounds much better than “fanny pouch” – and be wary of suspicious folks and even friendly strangers, especially when you’re tired or spending a lot of time at the bar. (Note: If you choose to drink on your layover, balance out the alcohol with water to stay hydrated). Protecting yourself and your property during long layovers is more about common sense than sophisticated security protocol. But this becomes more difficult when you’re travel weary – and almost impossible when you’re sleeping in a stiff terminal chair. Travel Protection For Unforeseen Situations That May Occur Worldwide from Allianz Global Assistance. Get a Quote Now. Airports circling the globe have done a better job of meeting the needs of today’s tech-savvy travelers. Phone charging stations and Wi-Fi access are the rule more than the exception. But airports are incredibly inconsistent when it comes to acknowledging and providing for travelers with onsite accommodations for a cat nap or a comfy overnight slumber. Some roll out the cots, and others roll out security personnel to ensure fliers aren’t closing their eyes in a reclined position. No joke. SleepingInAirports.net is a site dedicated to the global community of travelers who intentionally make slumbering in airport terminals part of their travel plans. They offer well informed advice: a bit of Vick’s Vapor Rub under the nose can cover up smelly terminals, sunglasses are important for airports that ban napping travelers, and disinfectant wipes are critical for clearing off your space before stretching out. The site also ranks the best and worst airports at accommodating sleeping fliers. Singapore Changi airport wins top honors for the 17th straight year with specially designed relaxation zones featuring cushioned and reclined seating, a movie theater, 24-hour massage and spa facilities, and even warm showers to help prep the body for extended rest. 7 Reasons You Need Family Travel Insurance – Vacation Insurance for the Entire Family. Airports make it easy to grab a bite when all you care about is getting something quick and easy. But when your layover, planned or otherwise, takes place over the course of several meal times, fast food and salty snacks can play havoc with your body. With the right planning and solid on-the-fly decision-making, you can make extended airport layovers safe, comfortable and healthy. After all, you don’t just want to simply arrive safely at your final destination; you want to arrive well rested and rejuvenated, satiated and with everything you began the flight with. I don’t buy travel insurance for domestic flights, but I always buy travel insurance for international travel. 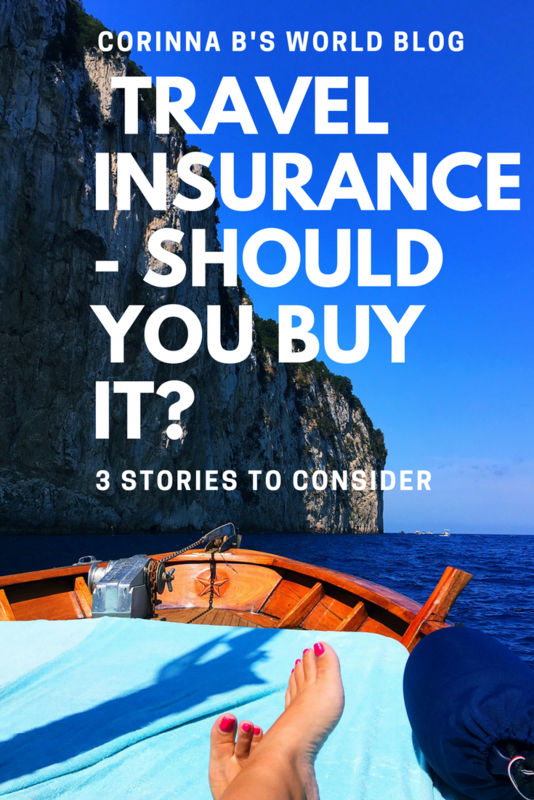 3 Stories About Travel Insurance. In each of these examples having or not having travel insurance was a trip altering factor. It should be noted that I emphatically recommend that my travelers buy travel insurance. One of my Glam Italia Tour travelers wasn’t paying attention at the airport and didn’t see her flight from her home airport to Charlotte had changed gates. She missed her flight. This meant that she couldn’t get to Charlotte in time to catch her flight to Rome, which set off a very expensive chain of events, and meant that she lost the first day of her 11 day tour. There is only one flight per day from Charlotte to Rome, and it leaves at 6pm. My traveler had to stay overnight in Charlotte, which meant hotel expenses, she had to buy food in Charlotte – 3 meals. When she arrived in Rome 24 hours late I wasn’t there to meet her because I was in Florence with the other ladies on her tour. 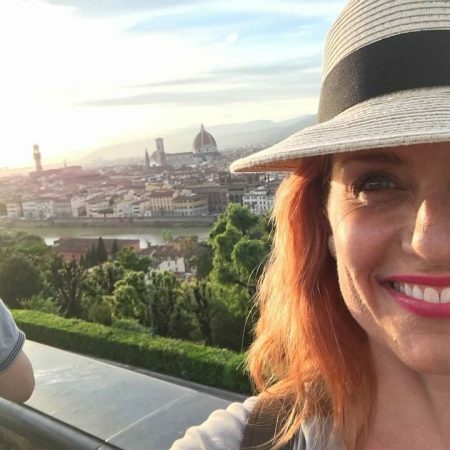 Her tour price had included all internal travel in Italy, but now she had to buy a ticket from the airport to the main train station, then a last minute ticket from Termini train station in Rome to Florence at a little over double the price of the original ticket, and get to Florence by herself. All these expenses had to come out of the money she brought with her for her trip, which in turn meant that she couldn’t buy things that she wanted to and had to stick to a very tight budget on her once-in-a-lifetime trip to Italy. She hadn’t purchased travel insurance, so it was all a complete loss. Had she bought a travel policy the insurance company would have covered her under the missed connection portion of the policy, and she may have been able to recover the cost of the missed day of her tour. Missed flights are a nuisance, but they are part of travel. Sometimes your flight arrives late and your connecting flight has departed. Travel insurance can help offset those costs, or completely cover them. Another of my travelers had an issue this summer. She flew to Rome from JFK airport in New York, but her suitcase went on a world tour of it’s own. Firstly it went to Boston, then it went missing for a while, then it popped up in Amsterdam, disappeared again, went back to New York, and finally came to Rome on day 8 of her 11 day tour. Her first phone call was to her travel insurance company. They got involved and were able to circumvent the endless hassles of being on hold with the airlines for an hour at a time (at international calling rates!) and got things moving with trying to locate the suitcase. They also covered my traveler for buying clothes, shoes, makeup and toiletries so that she could get on with enjoying her trip. Need Travel Insurance? Travelex has a plan that’s right for you. Get a Quote Now at TravelexInsurance.com! Her travel insurance policy had cost her under $100, and it paid for itself many times over! This one is my personal story. A week prior to heading to Europe to lead 6 weeks of private tours, I went to Belize on a makeup job. While there I breathed in some kind of heinous spores (as did the photographer and the photo assistant), which incubated for about 10 days and then turned into the worst cough you can imagine. For almost all of the time I was in Europe I had to sleep sitting up. I coughed and coughed and coughed. I also had to go to multiple doctor visits and was given multiple medications. Steroids kept the coughing largely under control for the 2nd half of the time I was away. My insurance company was able to track down doctors for me in the various places across Italy that the tours traveled to, and took care of reimbursement for all expenses. Getting sick while you are traveling can be a nightmare. Travel insurance not only offsets the costs of medical care, but a good travel insurance company will help you get English speaking doctors. In my opinion the main reason to buy travel insurance for an international trip is the medical coverage. Catching a bad cold or a sinus infection is a nuisance but not the end of the world. Getting hit by a car, getting appendicitis, having a heart attack or an aneurysm?? Major, major deal. When choosing a travel insurance policy look at the medical coverage. If something goes drastically wrong you need to make sure you have excellent medical cover and, depending on where you are traveling to, emergency evacuation back home. For example, if I had to go to hospital in France or in Australia I know that I would be getting the very best medical care in the world and at realistic prices, so I would stay there. If I was in an under developed country or a country with sub-standard medical facilities I would want to get stabilized and then be flown back home, with a nurse, to be treated here in America at a bankrupting price point. For any traveler who is either coming to America, or who’s flight touches down in America en route to somewhere else, get the absolute maximum medical coverage. The cost of medical care here in America will bankrupt you. Most travel insurance policies need to be purchased at least 14 days prior to travel in order to be effective as of day one of your trip. I recommend that travelers buy travel insurance the same day as they put down their deposit or purchase their airline tickets – whichever comes first. If anything medical happens to you tomorrow you will forfeit the money paid out so far. I apologize for all the affiliate links and banners in this post. People are always telling me they don’t know where to go for travel insurance, so I have loaded this post with links. You’ve probably been working on your summer travel plans already, or maybe just thinking about them. I’m busy putting together this year’s Glam Italia Tours, and today will be sending all my travelers an email about buying Travel Insurance. When you are traveling internationally it is essential that you buy Travel Insurance. I always buy travel insurance the same day that I buy my flights. In the time between buying your flights and boarding your plane anything can happen. You can get sick, you could break your leg, you could have a family emergency – there is and endless list of possibilities of things that could potentially prevent you from getting on that plane. 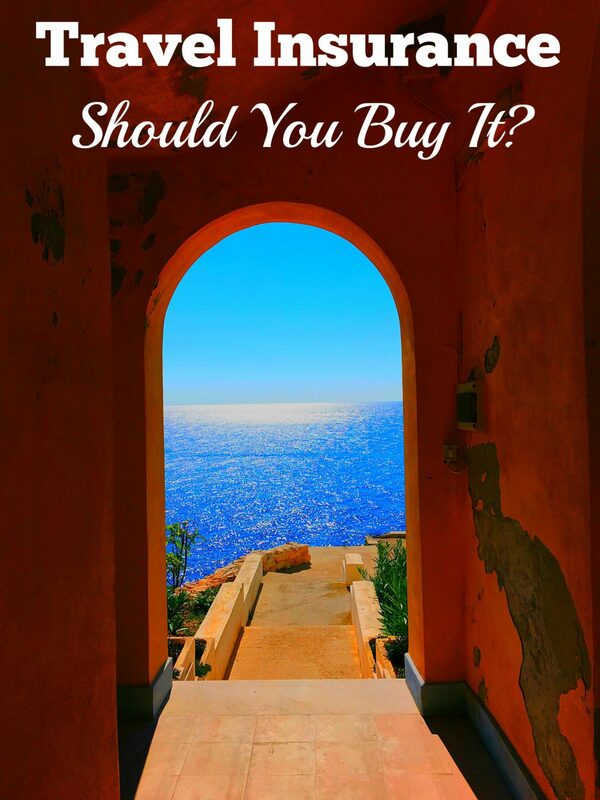 Check out the Top Ten reasons why people buy Travel Insurance and see if it is right for you. While you are en route to your final destination things can happen. Your luggage might go on it’s own vacation to a different part of the world, you may get stuck in an airport somewhere in between home and your final destination, or you might get sick and not be able to board your next flight. While you are away there are all kinds of things that could go sideways – everything from not having your luggage, getting robbed, getting sick, breaking a leg. Hopefully nothing will go wrong while you are traveling, but you have to be prepared in the event that it does. I once caught an upper respiratory infection on a flight to Australia, and got so sick that I wasn’t going to be able to fly home. I ended up getting excellent medical care and was cleared to travel, but without Travel Insurance it could have been financially catastrophic. We don’t plan on anything going wrong when we travel, but it is a good idea to be prepared just in case. For years now I have been using Allianz Travel Insurance for all my international travel. There are plenty of travel insurance companies to choose from, and you do need to do your due diligence when researching your policy. I buy the Allianz Classic Plan, which covers me for lost/damaged/delayed luggage, medical (including transport back home with a nurse if needed), trip cancellation, trip interruption, and several other things. You do need to read the small print about pre-existing medical conditions on any policy you buy. If you have a medical condition you need to find a policy that covers it, and make sure the company tells you in writing how they will deal with your condition should anything go wrong before you leave or while you are away. One of my travelers last year didn’t buy her travel insurance quickly enough. She had an asthma attack that hospitalized her and prevented her from traveling, but couldn’t use her insurance to cover the cost of her airline ticket because the attack happened inside the 14 day window that her insurance company had between purchase and ability to claim. Had she purchased her travel insurance more quickly she would have been refunded all her costs except for the deductible. Make sure you understand what is covered and what is not covered on any travel insurance policy you buy. Compare policies and make sure you have adequate coverage. Find out if your insurance company has global customer support and ask them what you have to do if something does go wrong. Allianz tells me to call them first and let them help me get the right help. We don’t plan on anything going wrong when we travel, and hopefully will never have to use our travel insurance, but it is essential to have a good travel policy anyway.